A bay window is one of the few window types that can expand a room. They protrude from your exterior, which can create extra space. You can put a cushion on this space and pillows, turning it into a nook where you can sit and admire the view. With a large enough bay or bow window, you can even stretch out and lie down. Another reason bay windows are excellent replacement windows is the amount of storage space they add to a room. You can add built-in shelving and other storage to a window seat and use it to store important, but rarely used items for a room. For example, extra curtains for your living room. For even more window seat ideas, contact Kroll Construction. Bay windows are also a good choice for studies. You can turn the area surrounding the bay window into a workspace, or use the extra space to store books and other items. Or you could use the window seat to relax and recharge while studying by admiring the great view. Window seats can also allow you to serve and entertain more guests in your dining room. Use comfortable upholstered cushions together with a small circular table in front of the window seat. Meanwhile, the space underneath the seat can store extra silverware, plates and other items. 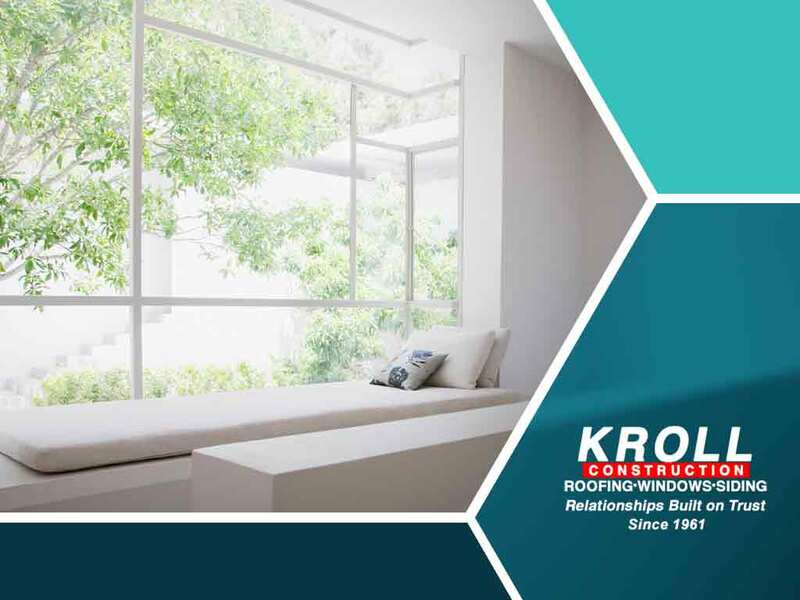 You can rely on Kroll Construction for all of your window replacement needs because of our decades of experience, first-class products and great customer service. We earn the trust of our customers through our quality craftsmanship, full and open communications, and courteous and professional service. Call us at (844) 688-9632 to learn more about our services and products or to get a quote. We serve homeowners in Michigan.